"The Old Lady have only lost twice in 17 away Champions League encounters (W112-D6-L1) over the past four years – at Sevilla and Barcelona – and claimed top honours on trips to Tottenham and Real Madrid in 2017/18." Jose Mourinho was upset his Manchester United side were not rewarded for their impressive efforts at Chelsea on Saturday lunchtime. Two smart finishes from Anthony Martial saw the Red Devils overturn a half-time deficit at Stamford Bridge before the Blues levelled in the dying seconds after a goalmouth scramble. The United boss said, it was "a very undeserved result for us. We were the best team, even in the first half. We were in control, tactically - the result is really unfair for us." The Old Trafford club have now shipped 20 Premier League goals from set-pieces under Mourinho, an obvious area of weakness. Mourinho sprung a surprise on Saturday, fielding an attack-minded side in a 4-2-3-1 system with Juan Mata behind Romelu Lukaku, flanked by Martial and Marcus Rashford. However, the hosts will be without the services of Marcos Rojo and Jesse Lingard here, whilst Marouane Fellaini and Scott McTominay are doubts. Cristiano Ronaldo became the first player to score 400 goals in Europe's top five leagues as Juventus dropped points for the first time this season on Saturday evening. The former Manchester United and Real Madrid idol hit the post before tapping the Old Lady into a first-half lead against Genoa in Turin. But Max Allegri's men were forced to settle for a share of the spoils after the Bianconeri's defence switched off for a tame equaliser. Juventus dominated the majority of the match, winning the Expected Goals count 2.00 - 0.59 although only three of their 21 overall attempts were on-target. 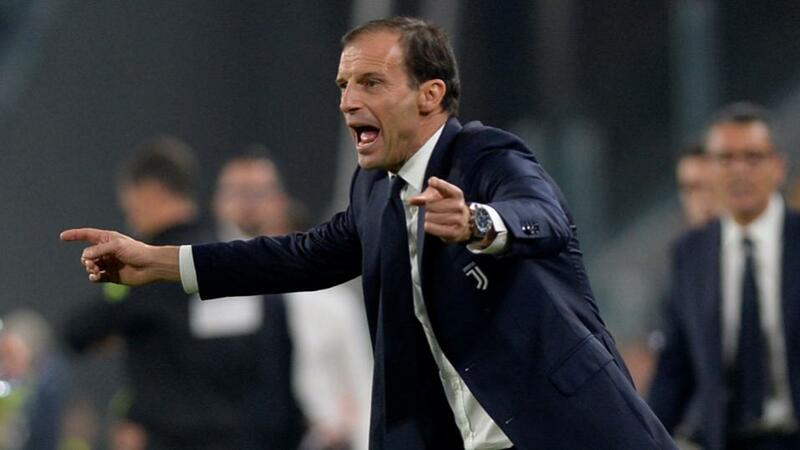 Allegri was unhappy with this team's display, suggesting "in the second-half, our minds were on Manchester United and we fell asleep". The visitors rested Giorgio Chiellini and Paulo Dybala at the weekend, but Sami Khedira and Emre Can have been ruled out of contention. Manchester United have claimed top honours in four of their past six meetings with Juventus (W4-D1-L1), losing just once across the past 21 years but the Red Devils are clear [3.30] underdogs to enhance that record on Tuesday night. Confidence will have been restored after a morale-boosting encounter at Chelsea, although the hosts have failed to succeed in seven of their 12 outings across all competitions (W5-D4-L3). Those matches have seen United enjoy just a 0.42 Expected Goals supremacy on average, whilst failing to beat the Blues, Spurs or Valencia. Juventus [2.46] had won their opening 10 tussles in domestic and European competition this term until the weekend and the Old Lady picked up a 2-0 triumph away at Valencia on matchday one despite seeing Cristiano Ronaldo sent off in the first-half. The Old Lady have only lost twice in 17 away Champions League encounters (W112-D6-L1) over the past four years - at Sevilla and Barcelona - and claimed top honours on trips to Tottenham and Real Madrid in 2017/18. Their pre-match odds imply the Italians have a 41% chance of winning at Old Trafford. Seven of Manchester United's opening nine Premier League fixtures have featured Over 2.5 Goals [2.16] with the Red Devils managing to silence their opposition just once. At this stage of the campaign last term, United had already recorded seven shutouts, highlighting their issues at the back. During Jose Mourinho's first Champions League campaign with United, three of their four Old Trafford contests also broke the Over 2.5 Goals line before the goalless draw played out against Valencia here at the start of October. Juventus have followed suit with seven successful Over 2.5 Goals selections from 12 Champions League games since the start of last season as the Old Lady's defence was breached on seven occasions. With five of their 10 tussles this term producing three or more goals, there's potential value in supporting a repeat. Our best angle of attack might to be combine a pro-Juventus selection with goals here so entering Betfair Sportsbook's Same Game Multi market is recommended. Juventus in the Double Chance market alongside Under 3.5 Goals can be backed at a bulbous 3/4 and puts the 0-0 and 1-1 draws onside, as well as a 1-0, 2-0, 3-0 or 2-1 away success. These scorelines have played out in 12 of the visitors' past 17 on their travels in the Champions League.